Spend Sunday evening immersed in the fascinating world of competitive female impersonation. 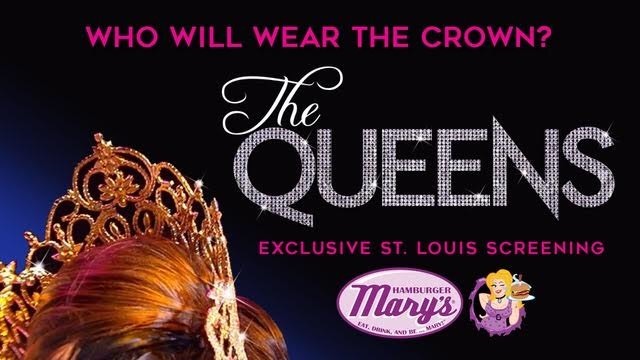 Feature-length documentary The Queens, screening at Hamburger Mary’s, dives deep into the Miss Continental Pageant, based out of Chicago’s iconic Baton Show Lounge. 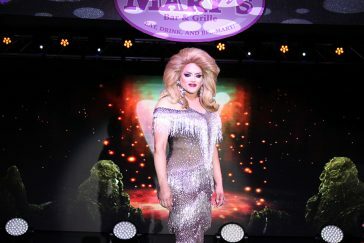 Unique among female impersonation pageants, Miss Continental is open to transgender performers. Director Mark Saxenmeyer will be on hand to answer questions, as well as two of the performers featured in the movie, Sunny Dee-Lite and St. Louis’s Tiffany T. Hunter. Stick around for a number after the Q&A, too. The pageant had its genesis in 1980 as a response to what Flint saw as the discriminatory practice of other competitions—competitors who lived their lives as women offstage were considered ineligible to compete, because they weren’t considered female impersonators. For Hunter, competing in the pageant—including her 2015 victory—was about far more than the prize package. She spent close to $100,000 competing half a dozen times, and the prize didn’t quite replenish her bank account. Hunter’s rein was focused on inclusion and building connections, she says. She hasn’t missed a pageant since before she started competing. Hunter would love to see the film reach wider, mainstream audiences, perhaps through streaming services like Netflix or Hulu. For now, she loves watching people watch the film. 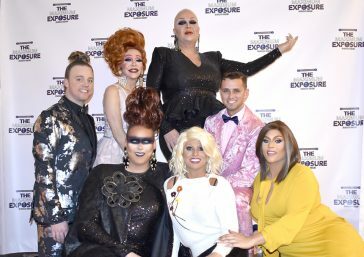 At a recent screening in Minneapolis, the audience was overwhelming straight folks who knew next to nothing about the LGBT community, let alone pageantry. Come through Sunday night to take in the movie and keep the holiday weekend in full swing. Tickets are $12, and it starts at 7p.